Newtownhamilton High School pupils Callum Glenny and Neil Hawthorne had the opportunity to be present in the Newry & Mourne District Council Chambers on Tuesday 16th October 2012. They certainly used their time well and Callum, who is never afraid to ask the difficult questions, created the biggest stir of the morning with his query about councillors’ views on the future of NI within the UK. Other schools in the area who attended were Newry High, St Joseph’s Crossmaglen, Abbey Grammar, Sacred Heart, St Paul’s Bessbrook, St Mary’s Newry and St Mark’s Warrenpoint. Prior to their visit to Newry & Mourne District Council Chambers, Callum and Neil also attended the Newry Chamber Business Lunch in the Canal Court Hotel on Thursday 11 October 2012. The Guest Speaker was Shadow Chancellor of the Exchequer Ed Balls and also in attendance was Vernon Coaker, Shadow Secretary of State for Northern Ireland. 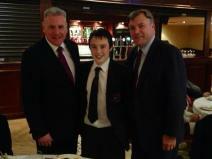 Ed Balls was particularly interested to hear that Callum had ambitions to become a politician and therefore suggested that both he and Vernon should "be photographed with a possible future Prime Minister". Year 8 Parents are reminded that there will be an opportunity to meet all the teachers at the Year 8 Parents' Evening in the Assembly Hall on Tuesday 23 October 2012 (3.30-5.30pm). 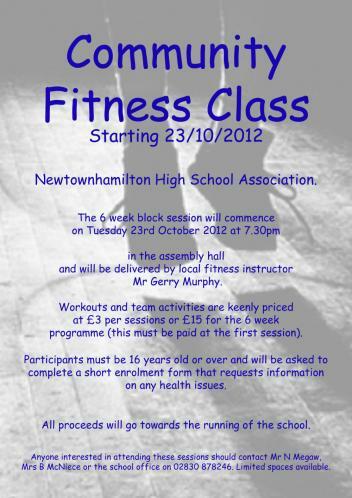 Friends of Newtownhamilton High School are reminded that the Community Fitness Classes, organised but the School Association, will commence on Tuesday 23 October at 7.30pm. The 6 week programme will be delivered by local Fitness Instructor Mr Gerry Murphy and are keenly priced at £3 per session or £15 for 6 weeks. 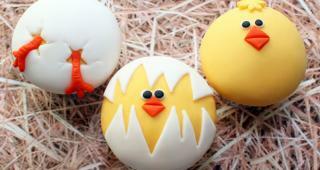 Participants must be aged 16 or over. Anyone interested should register their name with Co-ordinator Mrs Beth McNiece at the school office (02830 878246) - Everyone welcome. Year 8 - 10 pupils were treated to a performance today on Firework Safety that was delivered by Donaghmore based organisation Beam Creative Network. The 25 minute drama highlighted the dangers of using fireworks and the possible consequences of being caught using illegal fireworks. The drama was sponsored by PSNI, Health & Social Services, NI Fire & Rescue Service and the Department of Justice. Over the past two years pupils from Year 10 have participated in a joint programme of study for ‘Learning for Life and Work' with students from St. Paul's High School Bessbrook. As a continuation of this SEP initiative, a joint workshop based around the theme of “Democracy in Northern Ireland” will take place throughout this academic year. 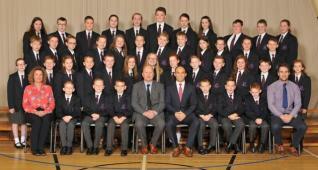 Newtownhamilton High School hosted the first session which took place on Friday 12th October. During the first session pupils explored the themes of democracy; they looked at how democratic and non-democratic societies operate. See below for pictures of the first session. Parents and Friends of Newtownhamilton High are reminded to show their support for the future of the school by completing the on-line SELB Consultation Questionnaire about the future of post primary education in the Newry & Mourne area. Pages 56-57 of the SELB Area Plan for Post Primary Provision (published July 2012) states “It would be the intention of the SELB to retain Newtownhamilton High School and to work with schools in the area and CCMS to build on the current partnership”. Nevertheless, we would encourage all supporters of the school to take a few minutes to access the Consultation Questionnaire before Friday 26th October 2012 and express your support for Newtownhamilton High. Furthermore, parents and friends are welcome to complete the response using our computer suite (if desired) on Wednesday 17th October 2012 between 3.30pm and 7pm. 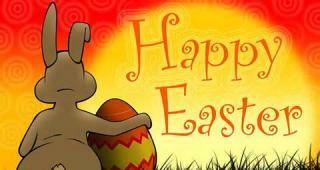 Principal Mr Mullan intends (DV) to be present to provide support if required. 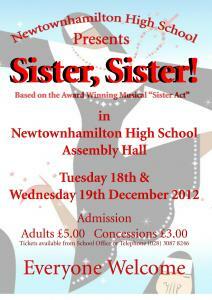 Tickets for the school performance 'Sister, Sister' are now on sale from the school office. 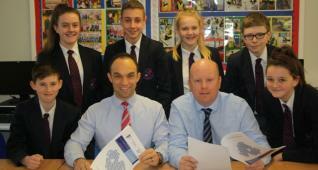 Newtownhamilton High School recently welcomed Lucie as the new French Assistant for 2012/13. Lucie (pictured second left with pupils and French Teacher Mrs A Laverty) hails from the Brittany region of France and will be mainly providing support to the Year 11 and 12 GCSE students. 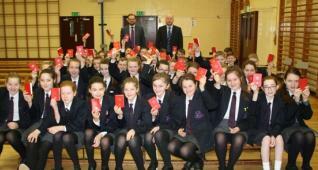 Our Year 8 Pupils took part in an Anti-Bullying Workshop with SELB Representative Mrs E Gillanders on Thursday 11 October. The programme prompted much discussion and helped to raise awareness on the negative impact that bullying can have on a young person. Our vibrant School Association held their AGM recently and used the latter part of the meeting as an opportunity to plan events for 2012/13. Following discussion, it was agreed that both the Community Fitness Classes and Christmas Fayre held during 2011/12 would be put back on the agenda (by popular demand) for another year. The Community Fitness Classes will commence on Tuesday 23 October at 7.30pm and will be delivered by local Fitness Instructor Mr Gerry Murphy. 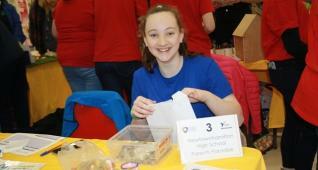 Anyone interested should register their name with Co-ordinator Mrs Beth McNiece at the school office (02830 878246). 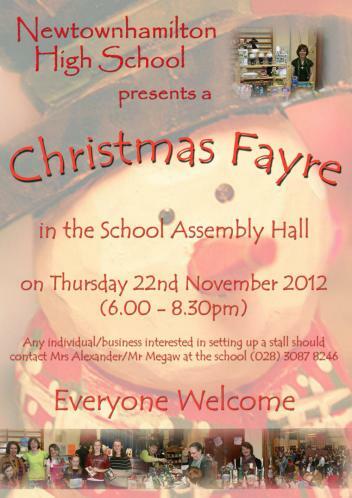 The Christmas Fayre will be held on Thurday 22 November (6.00-8.30pm) and any interested individual/business in setting up a stall should contact Mrs Alexander (calexander627@c2kni.net) / Mr Megaw (nmegaw549@c2kni.net) by telephone on 02830 878246. Our Newtownhamilton High Facebook page has been recently 'freshened up' and aims to keep the local and wider community up-to-date with forthcoming events within school. So log online and become a friend of Newtownhamilton High! Year 12 GCSE Business Studies pupils organised a food tasting event to find out how Dale Farm dairy products perform compared to its competitors. The results of this research will be used to help students draw conclusions and recommendations for their Controlled Assessment Task. A big thank you to all our website sponsors for 2012-13. 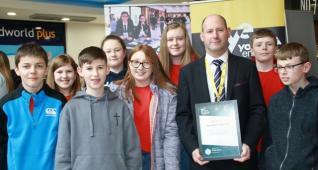 Their financial support ensures that we are able to keep the local and wider community up-to-date with all the latest news and events at Newtownhamilton High via this website. Please note that a monthly sponsor for June 2013 is still required therefore interested parties should contact Mr Megaw. Alternatively, the recently formed girls' hockey team are seeking sponsorship for a playing kit (tops, skirts and socks). Any interested individuals/organisations should contact Mr Megaw for further info. 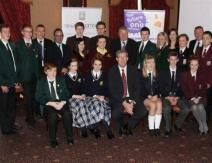 As part of the Newry & Mourne Area Learning Community, Newtownhamilton High School was invited on Thursday 20th September 2012 to bring 2 pupils to attend a business breakfast where the guest speaker was the Minister of Education John O’Dowd. A full English breakfast was laid on in the Canal Court Newry at 7.45am, so Mr Mullan and Year 12 pupils Lois McNiece and Thomas Ferris had an early start. After breakfast, the Minister faced tough questions about GCSEs, academic selection, the employment situation for 16-25 year olds, the Entitlement Framework, skills and work experience. The Newry & Mourne Area Learning Community has recently produced a DVD which aims to promote and develop the current educational collaborations of post primary education in the local area while also encouraging respect for cultural diversity. Click here to view the DVD and also to find out more information about some of the current collaborations that Newtownhamilton High School has with Southern Regional College (SRC) and St. Paul's High School Bessbrook. As part of the school's CEIAG (Careers Education, Information, Advice & Guidance) programme, Newtownhamilton High is required to forward data to the Department for Employment & Learning (DEL) so that it can be used by our Careers Adviser (Miss Cathy O'Neill). The data fields to be shared will be the pupil name, address, date of birth, special needs/disability and school attended. Year 8 parents have already been made aware of this information via our 2012 Data Capture Form but recent correspondence by the Department of Education (DENI) states that "it would be prudent if schools, when collecting such personal data, expressly indicated that it would in due course be shared with the Careers Service". Any parent with a query on this matter should contact Mr Megaw. 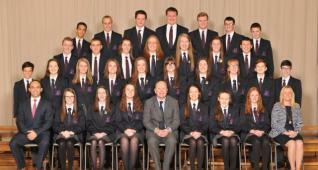 All Parents, Staff and Friends of Newtownhamilton High are reminded that the School Association AGM will be held on Wednesday 3 October 2012 at 7.30pm in Room 5 - Everyone Welcome. Please note that Prize Night will now be held on Wednesday 14 November 2012 at 7.30pm. Our Year 8 pupils got their first opportunity to get involved with some practical work recently in the Home Economics department - and they all proved to be naturals! Teacher Mrs C Alexander was on hand to capture some photos of them hard at work.